When you choose to run the new Microsoft Windows 7 operating system, you can very well run into some compatibility problems. And this does not only apply to programs or applications installed on your PC, but to incompatible hardware devices as well. Windows 7 supports more devices by default than Windows Vista, but not all manufacturers have teamed up with Microsoft to include their drivers with Windows 7. Furthermore, hardware manufacturers often only update their drivers if they have new or recently released hardware. If THEIR hardware is the same, then they may feel no need to update their drivers because you have decided to upgrade your operating system to Windows 7. As a result, a device installation may fail in Windows 7 as shown below. In the Windows 7 Device Manager, the devices will be listed under the Other devices category. So what do you do if you upgraded to Windows 7 and are now encountering driver incompatibility issues? 1) You can contact the hardware manufacturer and find out if they have a Windows 7 driver, or if they even plan to create one for your device! You can check the device properties for the hardware id to contact the manufacturer. 2) You can try a Vista driver for the device. It is said that Vista drivers will work in Windows 7. The technical architecture for both these Windows versions is very similar, so some Vista drivers MAY be used in Windows 7. You simply have to give this solution a try to see if it works I’m afraid. 3) Hell, why not try a Windows XP driver while you’re at it. Even a Windows XP driver can be tried under Windows 7. Especially for ‘simple’ hardware (many USB devices), this can work. 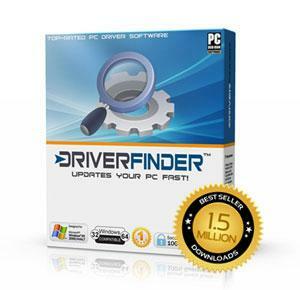 If the driver is not accepted, try running the device driver installer in the Windows XP compatibility mode. Now… if there really are no drivers for Windows 7, nor compatible older drivers and the hardware vendor indicates that they will not be created, I’m afraid it’s the end of the road for alternative solutions. You really need to replace the hardware with a Windows 7 compatible version. Windows 7: Should you go for 32-bit or 64-bit? When you upgrade to Windows 7, you have the choice between a 32-bit and 64-bit version. You may be tempted to go for the 64-bit version due to the increased RAM available but note that more drivers may be available or compatible with the 32-bit version! Even in Vista, the 64-bit version has always struggled with device driver availability for many types of devices. So if you have a choice, consider your computer hardware before deciding. Checking in advance can save you a lot of headaches. Remember, 32-bit drivers CANNOT be used in 64-bit versions. One of the reasons drivers for 64-bit versions are not always available is that all kernel mode drivers need to be signed. Unsigned drivers are not accepted. For mode details on driver signing, visit the Microsoft website. The Microsoft Windows 7 Compatibility Center is the first place to look to check if your device is really compatible with Windows 7, or not. For specific hardware compatibility questions, you can also try the Microsoft forum. Many hardware and computer manufacturers have their own information on whether or not their devices are compatible with Windows 7. Check the manufacturer’s websites for details. Based in Santa Clara, California, NVIDIA is a global provider of visual computing and chipset technologies. It is the inventor of the GPU (graphics processing unit), a high-performance processor that delivers amazing, interactive graphics to users of personal computers, workstations, servers, game consoles and mobile devices. Originally established in 1993, it has become one of the world’s leading suppliers of graphics processing units and motherboard chipsets. NVIDIA has more than 5,000 worldwide employees with offices in England, France, Germany, China, India, Japan and several other countries. The company’s portfolio is mainly compromised of three product lines: the NVIDIA GeForce, Quadro, Tegra and Tesla. GeForce is known for its superb functionality, offering high definition video playback, realistic game play and unrivaled performance. The Quadro is geared towards professional users while the NVIDIA Tegra and Tesla are designed for mobile and network users respectively. These products offer the power to dramatically enhance computationally-intensive and visually rich-applications, such as broadcasting, film production, video games, industrial design and much more. Nvidia has been a major contributor in the motherboard and graphics accelerators industries since launching its first product in 1995. It really made significant strides in 1999, introducing the world’s first GPU with NVIDIA GeForce 256 and the first workstation GPU in the Quadro. The company displayed market dominance in 2000 with the acquisition of 3dfx Graphics and the introduction of NVIDIA GeForce 2 Go, the very first mobile GPU. Other notable milestones include the acquisition of leading wireless graphics and multimedia technology provider Media Q in 2003 and the title of Forbes Magazine “Company of the Year” in 2007. NVIDIA has already made its mark in 2009, launching new solutions to further enhance the visual experience for consumers, professionals and users on the go. The same dedication to innovation and quality that allowed it to dominate the market will likely usher this company into another decade of success. Headquartered in Taiwan, Yuan High-Tech is a company that produces a wide variety of graphics accelerators, multimedia products and computer hardware components. Though a specialist in various areas, its main focus is in the designing, developing, manufacturing and marketing of graphics cards, TV tuner cards, video encoder/decoders and a range of surveillance products. The company is actually one of the pioneers in the TV tuner industry and growing quickly in the field of surveillance solutions as well. Yuan has garnered recognition amongst its industry peers and received numerous accolades, including the prestigious CES 2007 Innovations Award. Yuan was established in 1990 and opened its China production factory in 1992. The company added graphics solutions to its portfolio in 1998 and has been one of the top suppliers every since. Though once powered by NVIDIA chipsets, Yuan graphics cards now thrive off ATI Radeon technology, delivering the best in performance to professional and home users alike. Along with highly skilled R&D teams, its state of the facility has aided in the launch of products that include a second and third generation Scan Converter, some of the first pen drives, DVD players and TV tuners. All Yuan products are Microsoft, WHQL and ISO 9000, ensuring the utmost in quality and compatibility. For more than a decade, Yuan has been a leader and responsible for a number of firsts. Some of its innovations include the first MPEG wireless media gateway, the first pen-drive size DVB-T USB receiver, the first pen-drive size Hybrid D+A TV receiver and the first delivery express card on the market. While it has already launched several innovative products, the company isn’t through making history. Yuan looks to grow and maintain a leadership position in the market by leveraging a top notch infrastructure that provides the flexibility needed to meet the evolving needs of its customers.